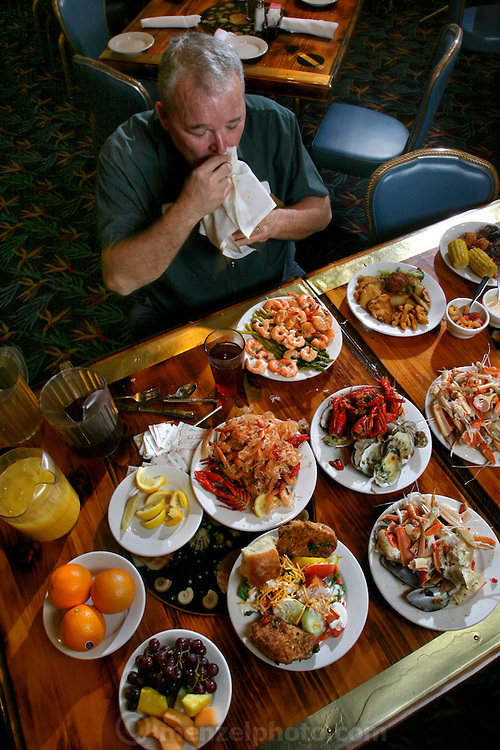 Carson 'Collard Green' Hughes Eating at a an all you can eat seafood buffet in Newport News, Virginia, in preparation for a contest. He died at 44 in December 2008. (From the book What I Eat: Around the World in 80 Diets.) MODEL RELEASED.